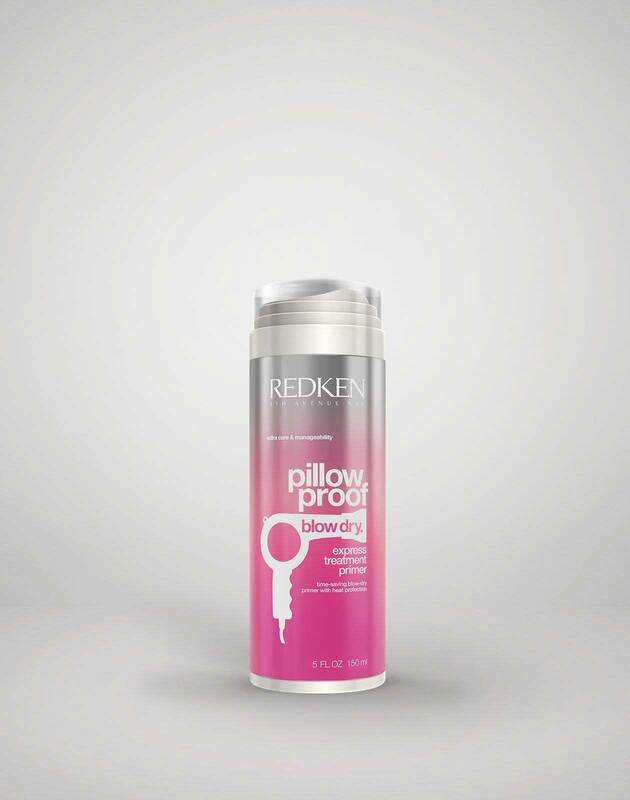 Apply one pump of Redken pillow proof blow dry express treatment primer to damp hair and comb through to cut blow dry time and provide heat protection. 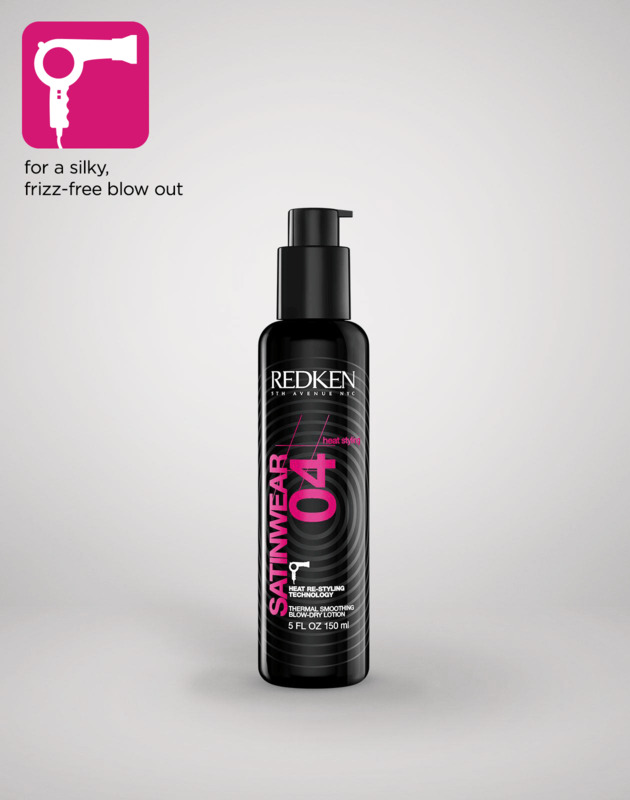 Follow by working a nickel-size amount of Redken satinwear 02 prepping blow-dry lotion throughout damp hair. Directionally blow dry hair toward back of head, simultaneously creating a clean hair line, grooming the hair back as you go using both your fingers and a brush. 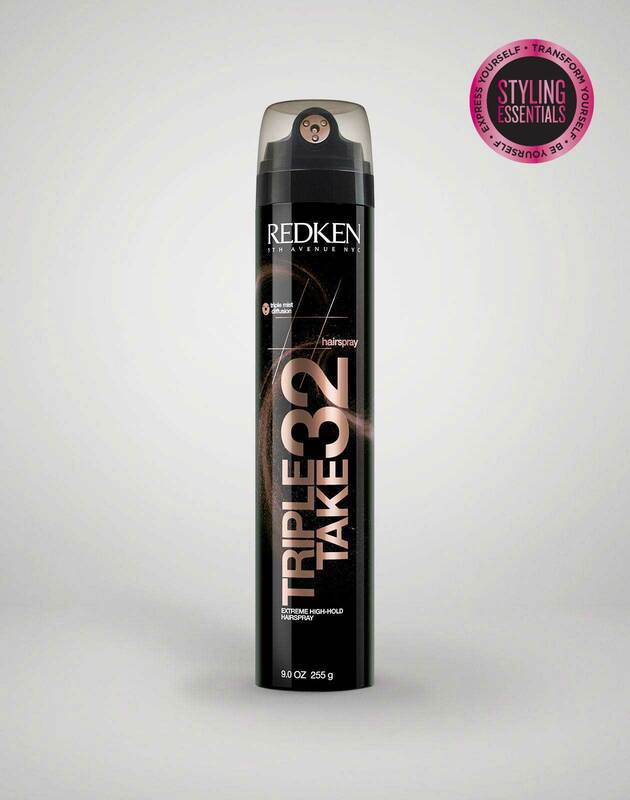 Once hair is dry, liberally spray Redken triple take 32 extreme high-hold hairspray to the crown of the head for shine, texture and hold. 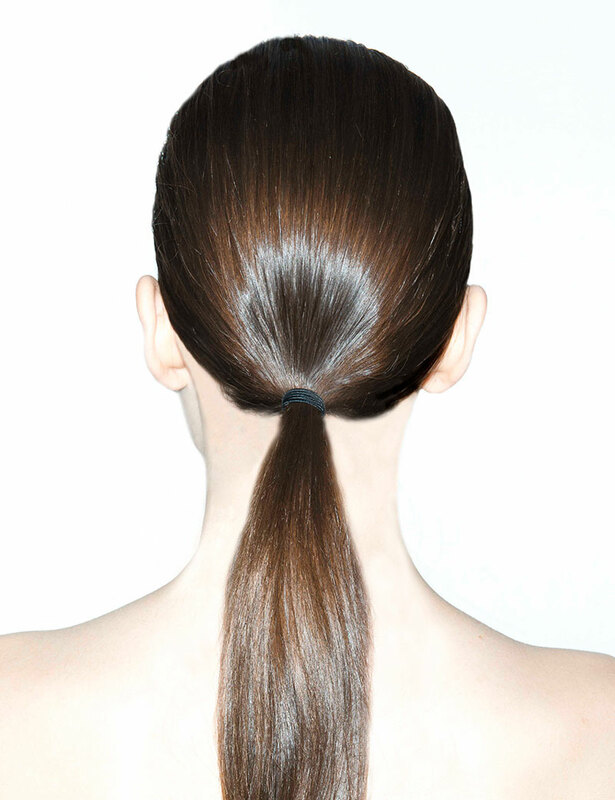 Using your fingers, groom hair back into a very low ponytail and secure with an elastic. Using a one-inch curling iron, take small sections of the ponytail and create soft bends in the hair for added movement. To finish, lightly spray Redken triple take 32 extreme high-hold hairspray once more to crown and ponytail for lasting shine and hold.